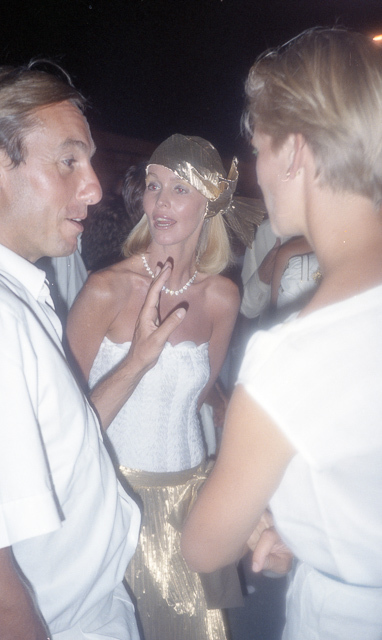 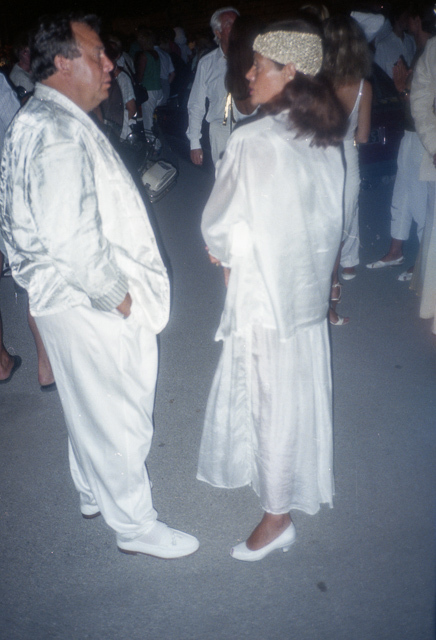 Following on from the previous post about the summer 1986 holiday to Port Grimaud (although this post will appear above it in WordPress), when we went over to St Tropez there was a huge crowd of onlookers ogling at the beautiful people leaving a party on some vast yacht. 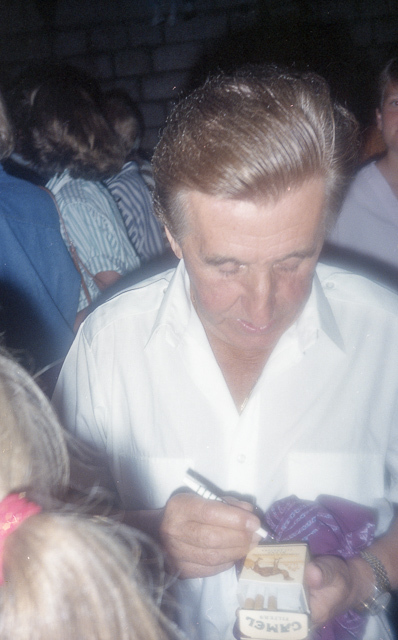 I’m sure some of these people might be famous (there was a suggestion of a Monaco Princess, and the chap in the third picture appears to be signing an autograph) but I have no idea who there are. 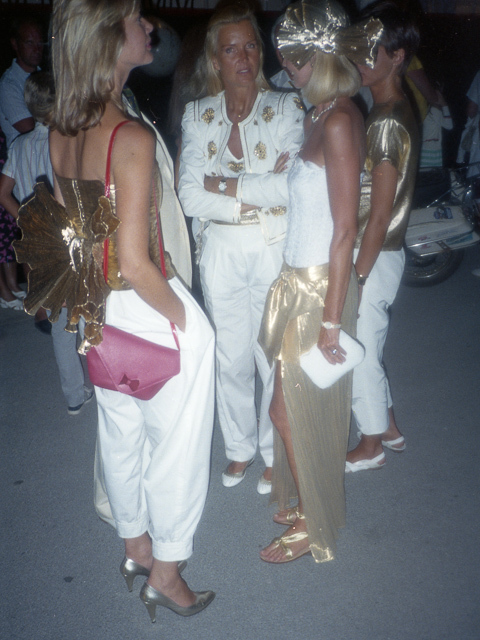 One presumes there was a gold & white theme, unless that happened to be the trend that summer.